He started with Goldman Sachs out of business school and has had the opportunity to work in several different capacities and different parts of the world with Goldman Sachs – including two assignments abroad in the Tokyo office. Lang has been with the company for 25 years and has proudly called Utah home for the past nine years. As the partner-in-charge, Lang is responsible for overseeing 3,000 employees and building, growing and setting strategy for the Salt Lake City office. Goldman Sachs Group, Inc. is a leading global investment banking, securities and investment management firm with 64 offices worldwide. The Salt Lake City office is known for its global business leadership and is the fourth largest Goldman Sachs office. The office has built strong relationships with local and state leaders and is the largest private employer in downtown Salt Lake City. What do you like most about working at Goldman Sachs? Smart and energetic professionals surround me, and I have the pleasure of interacting with them every day. They push themselves both professionally and personally and give back to the community by volunteering their time. They inspire me. What drew you to Goldman Sachs? I was drawn to the company because of its outstanding reputation in the financial services industry. Goldman Sachs was the place to be after I graduated from business school and that holds true today. What top two professional accomplishment you are most proud of? Being part of the leadership team that has guided and lead the Goldman Sachs Utah growth from approximately 300 people to 3,000 over the last 10 years. Our employees have challenging and rewarding careers, all while enjoying the natural beauty of the state. I’m also proud of the positive impact we’ve had in the community. As we’ve grown in size, we’ve also grown in community involvement. Goldman Sachs employees are passionate about making a positive impact in our community. The people are incredibly kind and caring. My family and I truly treasure the relationships we’ve developed here. I also enjoy the quality of life. For me, it means spending time with my family, being able to exercise and enjoy the outdoors. Of course, I don’t miss the commute I gave up in New York. The Salt Lake City office has been fortunate to acquire and develop tremendous talent. This is a testament to our dedicated staff and their high-quality work. Also, business and community leaders in the state are incredibly encouraging and supportive of each other. Don’t believe stereotypes you may hear about Utah. You’re going to miss out on an amazing professional experience but also an excellent quality of life. It is absolutely the best place to work and live in the country. I have three boys who are competitive wrestlers. If you want to find me on the weekends, look no further than a local high school gym for a guy in sweats cheering for his kids. 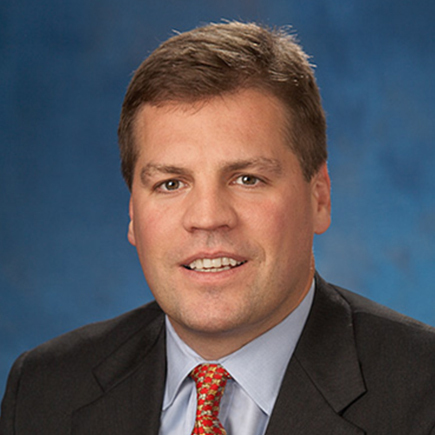 David Lang is the managing director for Goldman Sachs’s Salt Lake City office. Under his guidance during the last decade, the office has grown from about 300 to 3,000 employees.